Want a free ringtone? Audiko.net! All you need is to download a free AlexMartiniOfficial ringtones for your iPhone or mobile. Select your favorite moments from your favorite tune - Alex Martini - Baby Boo Salsaton Remix (Tego x Wisin x Daddy, Bad Bunny - Amorfoda (Trap Version Alex Martini), Lean Back Alex Martini Mashup (Daddy Yankee, Arcangel, Plan , or any other track. You are free to download your ringtone both in the MP3 and m4a formats, supported by both mobile phones and iPhones. 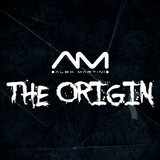 Just select a track, and choose free AlexMartiniOfficial ringtones download option.